Love Dogs? This Exhibit is for You. 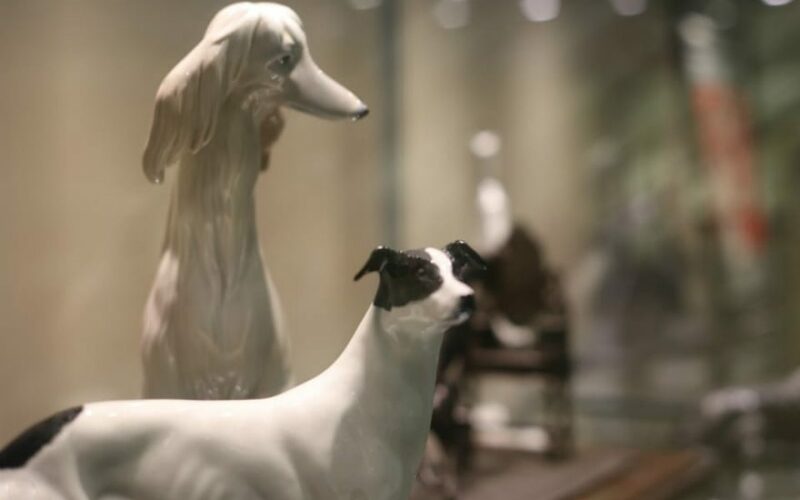 Two of the fine art pieces from the Sheila Grant Fleetfield Dog Museum and Library collection: In the foreground, a ceramic figurine of a black-and-white greyhound from the British studio Elite, and in the background, a white ceramic figurine of a sitting Afghan hound by the Spanish artist Lladró. A new exhibit of dog-themed art is now on display on the lower level of Shields Library, part of a remarkable collection recently donated to the UC Davis Library by the Sheila Grant Fleetfield Dog Museum and Library. 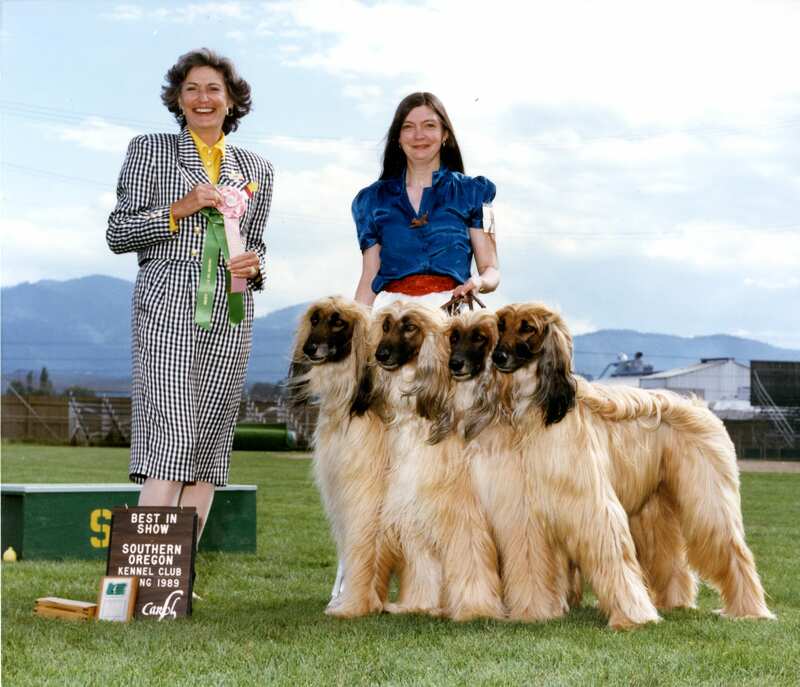 Sheila Grant (right) and her Afghan hounds are awarded Best in Show at the Southern Oregon Kennel Club dog show in 1989 – one of scores of competitions she won during her career. The entire collection includes more than 500 pieces of art and hundreds of books about dogs collected by Sheila Grant, an animal behaviorist and professional dog handler who volunteered for many years at the UC Davis School of Veterinary Medicine. Grant passed away in 2017, and the exhibition honors her two lifelong passions: dogs and fine art. Located on the lower level of Shields Library to the right of the main staircase, this permanent exhibition will feature a rotating selection of items from the collection — from fine art to pop culture to rare historic artifacts. Next time you’re at Shields Library, be sure to go downstairs and check it out. Can’t make to the library? You can also learn more about the collection and view selected items online.